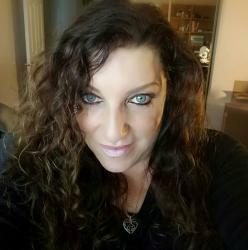 A blog about…well, life, the universe, and WTF-ever else comes up. I’m scared to write this post. I could be opening up a giant can o’ worms, going down a sinister path from which I may never return. Because I’m going to write about…..
People who know me already know this, but I’m just going to come right out and acknowledge it–I’m obsessed with bags. 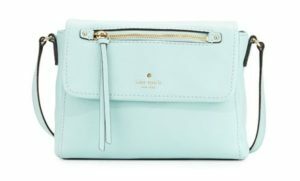 Tiny bags, like my Kate Spade Mini Cobble Hill Crossbody in Grace Blue. It’s made from THE softest leather. It’s so great for when I’m going to do a lot of walking and I don’t need the excessive contents of my big, overloaded everyday purse. This thing is so beautiful. I literally get butterflies in my stomach whenever I pull it out of my closet. Be still my heart. 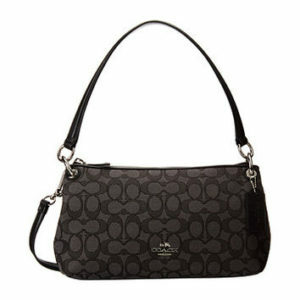 Small, classic purses, like the beautiful Coach Signature bag my amazing son bought me…I’ve loved it almost to death. It’s currently stored in its dust bag in my closet. I will have it until I die. It was a really big purchase that came from him in one of his first years of having a full-time job and living on his own. It was way too expensive for him to buy. After I stopped being mad about him spending the money, I almost cried at the thoughtfulness of this gift. He knows me so well…I’m so lucky. Substantial purses with lots of pockets. 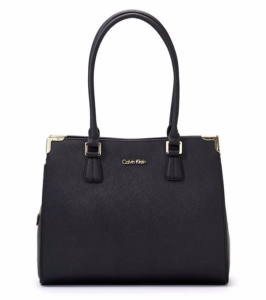 My Calvin Klein satchel shoulder bag is my constant companion…life without it would be bleak and highly disorganized. 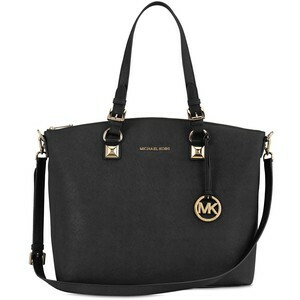 Elegant briefcases/laptop bags that make you look like you’re worth all that money they’re paying you, like my Michael Kors 13″ Jet Set Satchel Tote in Black Saffiano Leather. 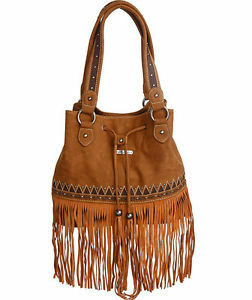 Funky bags that remind me of high school, like the little gem pictured–the Montana West fringe “tribal” shoulder bag that’s waiting for spring in my closet right now. The Catalina is incredible for so many reasons, like the fact that it has a bottom rigid compartment that you can use to pack shoes, dirty clothes, your pillow–whatever. Plus it’s made of durable cotton canvas that you can roll up in a bigger bag or throw in your washing machine when it’s dirty. 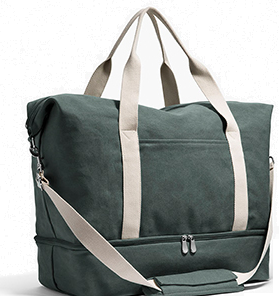 I mean, just LOOK at the video below–how can you resist a bag that lets you pack THIS much in it and which also fits over the handle of a suitcase? Can you blame me? And it was 20% off! 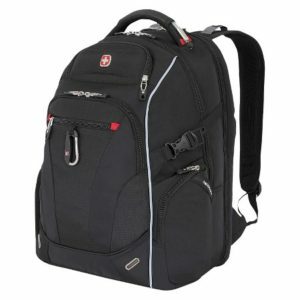 Lest you think I’m only a bourgeoise bag whore, I also love my Swiss Gear daypack, which is similar to, but not exactly like, the one pictured. This thing has a padded laptop sleeve. It’s also MASSIVE. I mean, I can fit a change of clothes, gym shoes, electronics, half the contents of my purse…it’s amazing. It’s my flight bag, too. Nice to be able to carry that much stuff on my back instead of my shoulder. I do wish it was a little more elegant (ok, maybe I am kind of a bourgeoise bag whore), but I’m not too proud to tote that thing around with me anywhere. LOVE it. Plus it has a lifetime warranty. I actually sent one back to the manufacturer, after it was quite well used, because it developed a hole in the seam, and they sent me a new one. Highly recommend. Writing about the Coach bag from my son earlier made me realize that bags have their own energy–an aura, a memory of their own. You carry your most important, intimate possessions in them. They retain a little bit of your soul, even when you’re not using them. They may also mark a moment in time when they made their way into your heart and your life. As you can see, I’m completely hopeless. 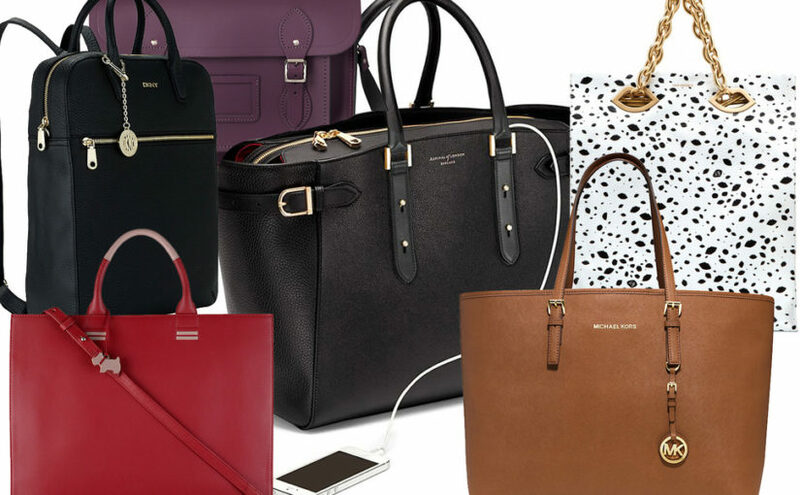 As I write this, I’m fantasizing about a beautiful Kate Spade tote bag that’s made out of soft leather, fits my laptop but can also accommodate a sweater and my lunch bag. I haven’t yet identified “the one,” but I know it’s going to be a stunner. A girl can dream, right? I have no intention of turning into some shallow fashion blogger. Especially because I have no fashion sense to speak of. But bags…bags are my JAM. My mom and my sister used to just shake their heads at me when I would show them my latest acquisition, accompanied by my coos of “Is that not just a gorgeous piece of design, or WHAT?” But I seem to have infected my sister with my bag fever. Lately, she’s been sporting a pretty swanky Coach bag with matching wallet. Hm.